So long Joel. Thanks for everything you’ve done for the site and (by extension) the community. Sounds like some of these motivational stories you can find in a book. Stack Overflow is very important to me as programmer, and I’m sure you will take the correct decision. It’s deeply depressing that zero words were devoted to the ridiculously impressive job that is done to maintain quality while still trying to be welcoming, and an equal number given to the idea that the future CEO should give any thought to quality as well. That’s why SO works. Even if you charged for it. It’s the quality. It’s not perfect, but it’s THE selling point. I’m an developer/entrepreneur from Tokyo, working for one of the giants. My dream is to stop working ‘for’ the giant and to ‘lead’ the giant. I know that it sounds obvious that everyone wants to lead a company, be a CEO and do all the stuff a man in control would do. Not me. I don’t want it. I need it and I worked for it and I will be there, someday. I’m 21, already been working in a foreign land for one of the giants in one of the futuristic projects with 2 years of experience and a peculiar interest and knowledge in business administration and management. As I have gone through your post on the blog, I did realize that I can be what you want me to be for your creation because that is me. If you’d want to go for a different option than the stereotypical way to choose your next leader, you know my details. Have an interview and you’ll know. Thank you for your time if you are reading this, or maybe not if one of your assistants is and may not be notifying about this to you. Thanks for the amazing service of Stack entities. thank you for the fun ! I was totally at that event (it was Mix08, I’m pretty sure). A few years later I would be at Microsoft working on the MSDN forums, where we had serious discussions about directing our customers to StackOverflow. These days I run engineering for a growing SaaS company. It’s been fun to “grow up” with you. It’s hard to remember the world before SO. This is exciting news. The CEOs have taken this product far. I love this community. I believe Stack Overflow is more than a Q/A company, it is a software company, and will likely benefit going public and hiring the best talent to compete with world-class performers. The company has a lot of potential and the brand has significant goodwill — a mix between humble Wikipedia and revered Google. Best of luck. Stack Overflow is not just a place where you go to solve a programming problem. It is a FEELING that you belong to the world. To the smart world. To that part of the world that has the curiosity to solve problems and the pleasure to help without being applauded for it. For me Stack Overflow is a place where I feel happy every time I go there. You’ll be missed Joel but it must be awesome to know that you and Jeff have made something that has had such a huge impact on the success of programmers all around the world. Good luck with your next venture! What a cool blog post, and way to pass the torch! I couldn’t agree more about the need to welcome and educate newbies by being a more supportive community. The first time I posted on Stack Overflow, wondering what it was a stack of, and why it might be overflowing, my question (can’t remember what it was now) was met with so much negativity that I didn’t post again for another 3 years. It was only after chancing upon a much more fun and welcoming site on the Stack Exchange Network that I came to understand the culture here and the dos and don’ts. I’ve seen it happen to a lot of other newcomers too, and I’m sure many would-be regulars have remained one-time contributors as a result. I have no idea how one finds a great CEO candidate, but by stating that priority as you cast your net, it shows your compass needle is pointed in the right direction. Good luck finding your CEO of destiny! P.S. Your logo still reminds me of pancakes, and makes me hungry at work. Been almost two years a contributor, + a decade a consumer and still on, this website has granted me a new perspective of the IT world and served me in a minute of what is equal or longer than 4 weeks of constant personal research in my earlier ages as a learner, can’t even dare to imagine how would end to be the cloud without the infinite beauty to which this virtual wonderland offers, I can personally foretell a new prosperous area, rising from evaded blunders that caused once few lame trips in its trajectory, and route the train in its rails again, with even higher pace and further aim. Full trey points for sake of welcoming juniors, they are a potential hope to fuel this site again, best luckz. I hope who is next CEO will help us bring more fun things daily. For example, I’d love to see how users come back after seeing questions with no response. Also, adding widgets from some topics to WordPress or any kind of platform is a great idea and should have someone to do. Anyway, many of our developers can’t work without Google and StackOverFlow. And it makes us stronger!!! Best of luck and have fun with whatever comes next. I honestly just don’t know what that is. Now I feel humiliated by your mainstream point of view. In the last 8 years I have found numerous answers on the Stack Overflow site. It is by far one of the best resources out there. However, there is no way I will ever post a question, too many toxic responses. It is like certain users just sit around waiting to ridicule questions they feel are beneath the community. What about a Noob Overflow? Or maybe just less condescension in general. Regardless, you have created a great resource and are a huge inspiration to me personally. Is this an early April Fool’s Joke? Stack Overflow is like my best friend. When I am stuck, I come here to see how others have solved the same problems. The best thing I don’t even have so many programmers in my city, and when I am stuck no one knows how to fix the error but the stack overflows knows the past and future, professional solve my issues, I have learned so a lot just from stack overflow. That cannot be described in the words, I guess. Will you at least stay active in the Python forum? I hope the new CEO will allow for more wiggle room for new programmers. When I first started coding and asking questions, this site was like playing Dark Souls with a broken dagger. I want to personally thank you and whomever participated in its creation, for creating a website by devs for devs where quality precedes quantity. Too many are the sites which have answers beginning with “My grandmother heard that this should work. I think”. As opposed to [insert answer with 3000+ upvotes here]. excellent april fools’ joke. better than google. Haha. Is this an April fool post. What do you think would be important direction for the new CEO ? E.g. are you looking for someone who would simply scale the idea of QA from tech to non tech to make is popular in all fields or something else ? Good luck, I hope that the next CEO will continue the amazing work you have been doing! It seems an april 1st joke ..
Great work!!! you people helped us lot. Does stackoverflow my little pony looking theme has anything to do with this? 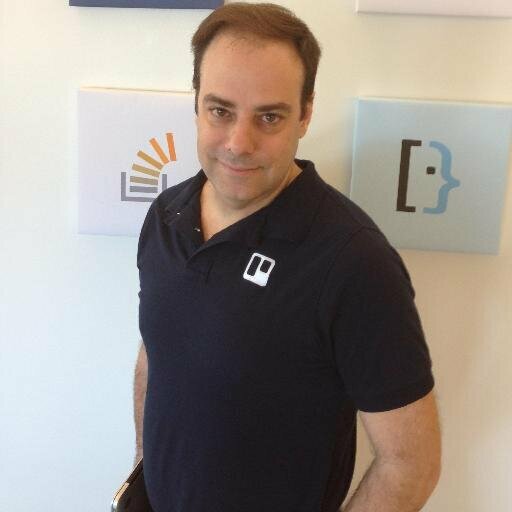 Stack Overflow had always helped in time of need and I wish best of luck for the new CEO of the Stack Overflow wishing the same great and easiest feature set of StackOverflow over the years. Not a single comment about April’s fool? Are they being moderated until this post is visible? How to start use a session before starting one? wow! too many changes in stackoverflow. Thanks for everything you’re doing for the coders and developers. Joel, I am not a software developer, I don’t have the special neural pathways required to write code. But I do work at a software company, and starting way back I began reading joelonsoftware.com and then various things on SO. Your writing and your influence helped me understand these wonderful people I work with, these strange, creative people called software developers. Thanks so much for letting us into the world as you see it, it’s a challenging, kind, and thoughtful place for hackers and painters. Good luck on your next act, and no one would complain if you started writing again. First, Joel, I would like to wish you all the best as you step out of your current role into that of CEO for Stack Overflow (Exchange Stack maybe?). Congratulations! What you and others have built is wonderful and fits a needed place! Stack Overflow is one of my favorite places to get answers to the technical questions I come up with. SO has helped me tremendously in the years I’ve used it. However, I’d like to respond to something you said, “… but an even bigger problem is rudeness, snark, or condescension that newcomers often see.” Although I’ve been on SO for several years, I’ve witnessed the “…rudeness, snark and condescension…” you referred to. I’ve also experienced it at the hands of some who apparently don’t think I’m smart enough or am too ignorant to have done “a proper search”. In many of the cases where I’ve been the brunt of someone else’s wrath, it is because I was trying to learn something I have very little knowledge of, so therefore had no way of knowing how to ask my question or what to say. Specifically, what to search for in a search engine. It isn’t my fault that I’m ignorant, but boy that’s not the impression I got from a few people. I will say that it hasn’t happened often. But it has happened over the last few years, a few times to me. Therefore, I’m not using SO as much as I used to even 5 years ago. I’ve become fearful that I’ll get roasted for asking a question. It’s funny, I’ve actually been on the look out for a SO substitute, sort of a “SO for beginners”, where you’re not likely to get condescending remarks to your questions. So, to the new CEO, I wish you all the best in bringing back civility to postings and replies. You have such a wonderful presence all over the world. Why can not you guys step in to software services. Many services companies are easily making big bucks with poor quality software delivery. Being having so many best software developers/think tanks under your umbrella, you can easily come up with a different model of software delivery and services for less price. He made the best work. Love de marquee tag. How can all the platforms be “above average”? anyways… good read and thanks for sharing! A big thank you for all the years of great service! And what an elegant way to step out. I truly believe SO will become even better, after reading this. i see the dates coming off as earlier than april 1st! for a moment i thought this is an april fool’s joke! best of luck though and thank you for providing us with this wonderful community! Good luck Joel. You created an awesome place for programmers to share and help others with their programming problems. stackoverflow is really greate application, we get lot of help from this site.